Public schools across NSW and the ACT have assisted Stewart House with fundraising for over 85 years. This provides a vital income stream for us. Information on how to fundraise for Stewart House is sent to all NSW Department of Education schools in Term 1 each year. Stewart House Day usually falls around the same time each year and most schools use it as a focal point for fundraising. It coincides with Stewart House’s annual presentation ceremony where significant contributions from the previous year are honoured. It is also the time when our annual donation drive draw comes to a conclusion. Gold coin donations are accepted as entry into a draw for a family holiday valued at up to $4,000. Whilst we ask all schools, large and small, primary, secondary and special, and their communities to organise special fundraising activities for Stewart House during this time, this does not preclude schools from undertaking Stewart House fundraising at other times during the school year. Payment for the donation drive can be made via raising a special payment request in the Doe Finance System. Or by using your school Pcard on the donation page. We continue to be impressed by the many creative ways schools raise money for Stewart House. 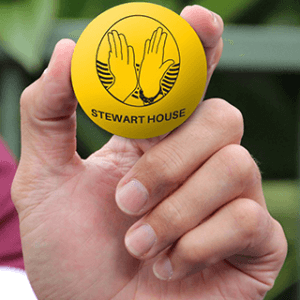 Mufti Day for $3.00 with each child given a Stewart House handball. Mufti Day for gold coin donation with each child given an entry into the Stewart House Donation Drive. Draw the outline of the Stewart House logo on the ground in chalk and fill it with coins. Challenge each class to create the longest line of 5c pieces. A handball competition with the Stewart House high bounce handballs. 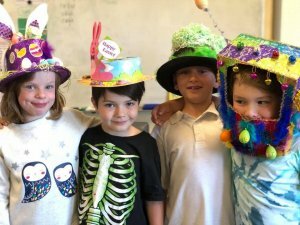 Dress as an ‘S’ day for Stewart House. 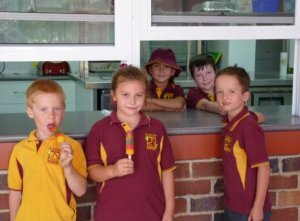 Other activities such as pyjama mufti days, sausage sizzles and ice-cream stands. High Bounce Balls can be purchased via raising a purchase order through the Doe Finance System (Vendor no. 100010992). Or by using the link below and paying via the school Pcard. Our high bounce handballs are sold in boxes of 24 for $36.00.